Why should I use an Independent Financial Adviser? We have no affiliation with any other companies, therefore you can be sure that any recommendation we make is in your best interest and most suitable to meet your requirements. What do your clients consult you about? We cover a large range of clients: from young individuals that want to start a regular savings plan or pension, be it for retirement planning or a future purchase, to people with larger lump sums to invest, to generate either an immediate income or capital growth over the medium to long term. We have a great deal of experience with people reaching retirement age who need to make decisions about how they are going to take their pension benefits. Whatever your situation, we can work with you to achieve your financial goals. What are your hours of business and can you visit me at home? We are open from 9am to 5pm, Monday to Friday. We can visit you at home or you can come to our offices. Please contact us to make an appointment to discuss your requirements. We are directly authorised and regulated by the Financial Conduct Authority (FCA), our registration number is 576749. You can consult the FCA register, via their website, for confirmation. There is no charge for the first appointment and there is no obligation on you to take up our services. The first appointment gives you the opportunity to meet an adviser and discuss your requirements. It gives the adviser the chance to establish a clear picture of what you would like to achieve and the level of risk, if any, you are prepared to take, with any recommendations. It also gives the adviser an idea of how much work is required and the cost for us to provide you with our services. What are your charges and fees? This depends on the amount of time and the complexity of the work that is being undertaken, for this reason we can not give a set figure. As a consequence we offer the first appointment free of charge where we will be able to set out the cost of our services. Which companies products / services do you recommend? In short, the ones which are most suitable to achieve your objectives. We have no affiliation with any other companies, although we feel it is very important that the companies we recommend are financially secure, well established and with a proven track record. We don't arrange mortgages, however we can introduce you to another local firm that provides good quality Independent Mortgage Advice. Are large lump sums required to make an investment? No, we can arrange investments for a range of different budgets and requirements. Is it worth saving in a pension? 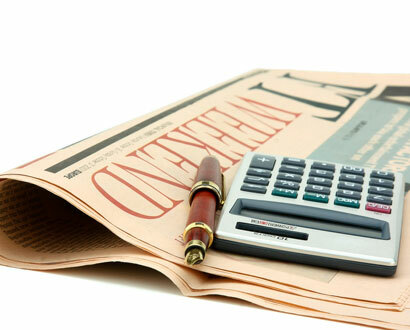 There has been a great deal of press in recent years about pensions. With the changes to state pensions, it is becoming apparent that we will all need to have some form of retirement planning in place. This does not have to be a pension, and we can help you decide what is right for you. When should I start saving for my retirement? As early as possible is the short answer, but it is never too late. If you haven't made any pension provision, it should be considered along with your other financial plans. How much do I need to save in a pension? The exact figure depends on a number of factors: your income requirements in retirement, your period to retirement and the level of risk you are prepared to take. We can help you put in place a strategy for you retirement to meet your needs. Will my estate be liable to Inheritance tax? The threshold at which inheritance tax is levied has been suspended for the last few years, meaning it is gradually catching more and more estates. We can help you calculate the potential Inheritance tax on your estate and put forward recommendations to help you reduce, and in some cases, completely remove the potential liability. Is there a way of reducing a potential Inheritance tax liability? There are a number of ways to reduce a potential Inheritance tax liability, and these range from Trust planning to Business property relief schemes. We can explain the benefits and drawbacks of the options available to you and help guide you to the option that is most suitable to meet your needs.